(NaturalNews) While the side effects of cocaine and crack have been known for a long time, according to the Daily Mail, a recent study by scientists at the University of Maryland suggests that adults actually increase their risk of a stroke every single time they use cocaine. The study looked at younger victims of stroke, including those between 30 and 40 – a fairly young demographic for victims of stroke – and found that those who had used cocaine in the 24 hours before they had a stroke had raised their risk substantially – in fact, six-fold. The risk of stroke actually increased eight-fold when the drug was smoked in 'crack form,' according to the author of the study, Dr. Steven Kittner. Kittner stated that, "among other factors, we know that cocaine causes rapid increase in blood pressure and can also cause cardiac problems that can lead to stroke." 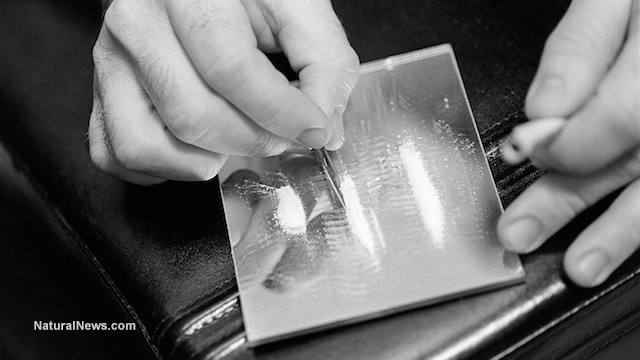 According to the National Institute on Drug Abuse, for most users, the effects of cocaine appear within a few minutes of its use – including a euphoric feeling, increased energy and mental alertness. The faster the drug is absorbed by your body, the more intense the high will be – but this also makes the duration of its effects shorter. For example, snorting cocaine is a slower way of getting it into your body, but it will last 15 to 30 minutes. On the other hand, smoking crack cocaine has immediate effects that only last between 5 and 10 minutes. A team of scientists analyzed data from the Baltimore and Washington DC area from 1992 to 2008, and found that there were over 1,000 cases of ischemic stroke in people between the ages of 15 and 49. As stated by the Daily Mail, ischemic stroke is, "the most common form of stroke, and occurs because of a blockage of a blood vessel in or leading to the brain - typically by a blood clot." The scientists asked participants whether they had ever used drugs, pills or medication, and found that stroke victims were more likely to be tobacco smokers – and to have a history of high blood pressure and diabetes. This is perhaps not surprising, and as stated by Healthy and Natural World, in order to help prevent a stroke, you should not smoke, avoid being overweight and take your heart medicine if you have been prescribed any. 28 Percent of the stroke victims reported using cocaine during their lifetime, and those who used cocaine the day before their stroke were over six times more likely to have suffered a stroke than those who had never used the drug. Cocaine is thought to narrow your arteries and reduce blood flow, which can lead to a stroke; these effects occur immediately after and in the hours following the use of cocaine. While Kittner stated that the study doesn't actually prove cocaine as the cause, it does present, "strong evidence that using cocaine does cause stroke," as reported in the Daily Mail. He added that, "unfortunately, this is not likely to be a deterrent for addicted users or even for most considering first use." Anti-addiction vaccines have been tested to help prevent people from becoming addicted to cocaine, meanwhile, the herbal supplement N-acetylcysteine (NAC) has also been found to reduce cravings associated with its use. However, the latest study shows that using the drug just once is enough to cause stroke, and that its use should be avoided altogether.